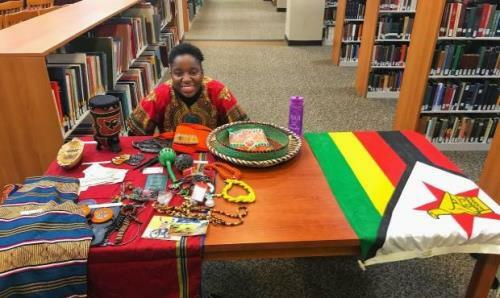 Bryan College’s Outreach Team hosted ‘International Voices’, a panel dedicated to showcasing the thoughts and experiences of multicultural students. Panelists included Jesus Astudillo, a senior from Caracas, Venezuela; Daniella Banda, a junior from Harare, Zimbabwe; and Wade Weinburger, a senior from James Cistern, Bahamas. Graduate Assistant of Short-Term Missions, Michaela Thomas, served as the moderator. All three students shared their experiences at Bryan over the course of an hour and a half, discussing the transition from their home country to America, misconceptions surrounding their culture, and how the Bryan community can better support its international students. In addition to their studies, all three members of the panel were also able to discuss their unique experiences as international athletes; Mr. Weinburger and Mr. Astudillo are varsity baseball players, and Ms. Banda is a member of the golf team. Mr. Weinburger reflected on the baseball team’s efforts to attend campus-wide events, and challenged the crowd to reciprocate the support by attending athletic games. 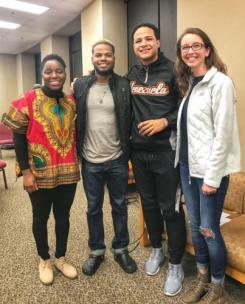 The three students kept the crowd of 50 attendees entertained with stories about their first experiences in different cultures, American expressions they find strange, and aspects of their home that they miss at Bryan.